and released on Nov. 10, 2012 by tytung. 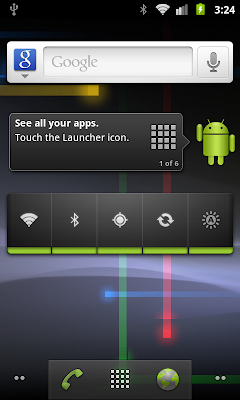 Use the latest android-2.3.7_r1 source code. Support Wi-Fi Calling, Wi-Fi IEEE 802.1x/EAP, native Wi-Fi Tethering, native USB Tethering, real Wi-Fi/Bluetooth MAC address, Low-power mode Bluetooth, UTF-8, CIFS, Yaffs, Ext2/3/4, NILFS, ReiserFS, BTRFS, and the official HTC extended battery. CWM: install zip from sdcard: navigate to NexusHD2-Gingerbread_V3.3a-(Android-2.3.7).zip to finish the Android installation. Cotulla, TYTung, Hastarin, Markinus, NetRipper, Dcordes, Letama, Rajko, Gauner, Diem, Dan1j3l, RaiderX303, Pongster, Gpc, Cedesmith, Arne, Trilu, Charansingh, Seadersn, Arif-ali, Mdebeljuh, Jdivic, etc. Updated to the latest tytung_gb_r15 kernel. Is "Dock" Option under Setting working? 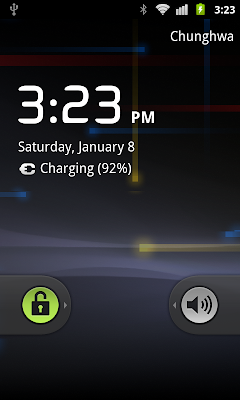 symbuzzer wrote: Is "Dock" Option under Setting working? 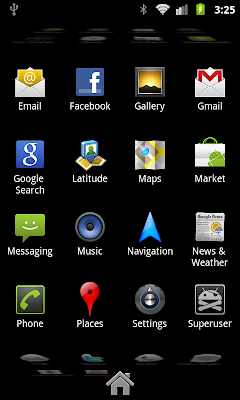 I think "Dock" is for Nexus One only. I modified a bit original settings.apk and I succesed to remove unneeded "Dock" and "System Updates" menus from it. - Download Settings.zip file and extract Settings.apk from it. How to add softkeys on this build without installing apps like ButtonSavior? If I'm not wrong, softkeys are only for 4.0.x + roms. You must use ButtonSavior or alternatives, if you want to use softkeys. I saw theese softkeys in one CM7 rom. Can I add them to this? vlado3399 wrote: I saw theese softkeys in one CM7 rom. Can I add them to this? try to find if there is some option that sound like: "tablet otions" or "options for tablet". In settings i cannot find option like that.